The Charman of Big Church Group, Olakunle Churchill has continued to attract more attention and commendations with his philanthropic works. 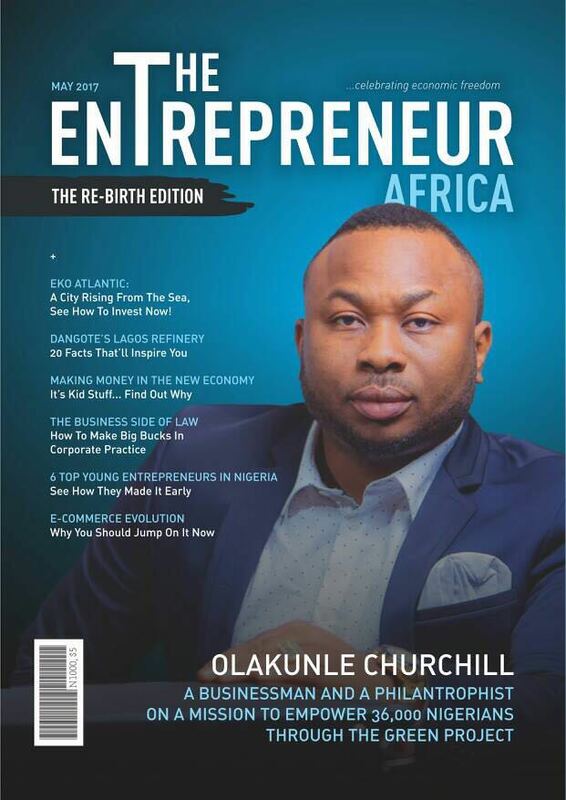 And this time he's been exclusively featured on the cover of one of Africa's top business magazine, The Entrepreneur Africa, ahead of the planned flagoff of his latest empowerment program, the Green Project. In the magazine, Dr. Churchill gives insight into the project, stating that "it's an agro business empowerment scheme, and we're set to give out farming lands and funds to interested youths across Nigeria". The serial entrepreneur and philanthropist further added, "we're selecting 1,000 beneficiaries per state, plus the FCT". That's to say that over 36,000 youths are estimated to benefit from the project. 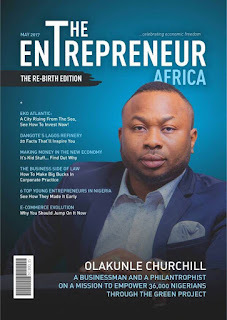 The magazine further traced the Abuja-based Churchill's entrepreneurial history, his passion for ICT, and how that passion led to the emergence of Big Church Group. Indeed, it's a rounded story of his life, business, and philanthropy.